I knew almost nothing about Guatemala until I joined Tufts Timmy Global Health, one of the 15 chapters of Timmy Global Health. Timmy Global Health is a non-profit organization based in Indiana that is dedicated to tackling global health disparities in Guatemala, Ecuador, the Dominican Republic, and Nigeria. Each year, Timmy sends medical professionals and student volunteers to provide assistance in these countries. This winter break, I was very fortunate to travel to Xela, Guatemala with 20 Tufts students and medical professionals. With the help of Timmy’s partner, Pop Wuj, a Spanish school and clinic located in Xela, student volunteers and medical professionals provided health services to 80-100 Guatemalans every day in five different regions of Guatemala. 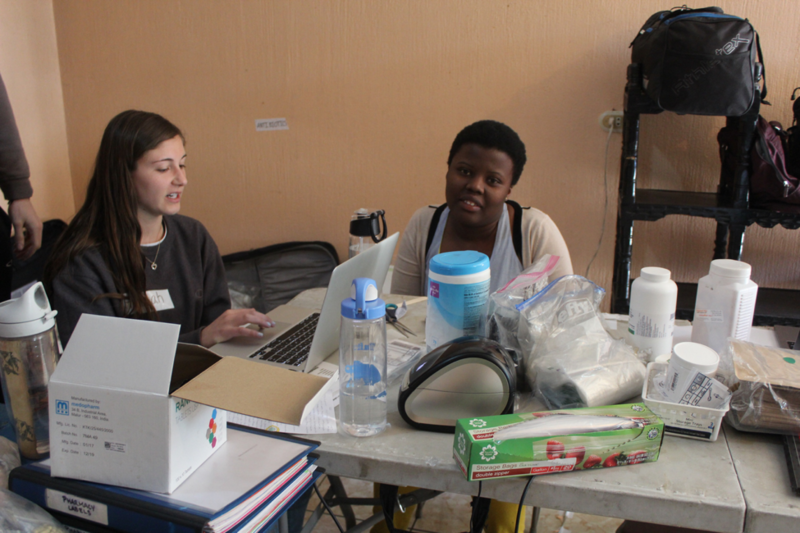 Each day, student volunteers filled different roles in the clinic. On the first day, I worked in the pharmacy with four students and two professional pharmacists, where we distributed medication to patients. After that, I took and recorded patient vitals for the general practitioner. I found this experience incredibly exhilarating because it allowed me to help patients and the doctor directly. It was very rewarding to be part of a team that is dedicated to having a positive impact on people’s lives. This experience reminded me that giving does not require one to be a tycoon. Instead, one can make a difference with commitment, passion and love. At the end of each day, my heart was filled with joy because I knew that at least 80 Guatemalans returned home with hope for their future, with medication that will improve their lives, and most importantly, with help to allow them to continue working to sustain their families. Not only did this week in Guatemala provide me with insight into the workings of a high-need patient population, it also had a great impact on me as well. It enabled me to grasp how the health sector can contribute to the community in many different ways. Before heading to Guatemala, I was the only engineering student in the group. I began to understand the contribution I could make to the health sector. For instance, the treatment of water is one way to prevent waterborne diseases. Being a part of this trip just reminded me that every person can play a role in the health sector, regardless of their field of study. Throughout this trip, I was also able to learn more about the Guatemalan culture and topography. The Guatemalans we met were very kind and hospitable and welcome us regardless of their appearance or background. Guatemala’s topography is very mountainous, which makes it immensely beautiful. Interestingly, Guatemala is known for its 36 volcanoes (some of which are still active) which can be seen from almost every part of the country. Now, my fellow Timmy members and I have returned to campus ready to kick off the semester with a lot of inspiration. We look forward to continuing to make a difference in our communities through advocacy, community service, and more.